The second day of ASQ’s World Conference on Quality and Improvement started with a look into our collective global future and ended with a glimpse of the future of quality itself. It seemed appropriate that the Tuesday morning keynote by futurist Jamais Cascio addressed the many unprecedented ways the world is changing. Key takeaway: The next decade will change our planet, including our climate, our technology, our geopolitics, and our communication methods. Get ready for major economic shifts and unprecedented changes in climate worldwide. Jobs are also changing–mechanical work is being replicated by machine. Transparency is everywhere: In news, in surveillance equipment, and in technology. New technologies bring forth ethical questions: Who’s responsible for the decisions of machines? Despite enormous changes, our lives will continue. The future is what we create. We are all futurists. What will you create? 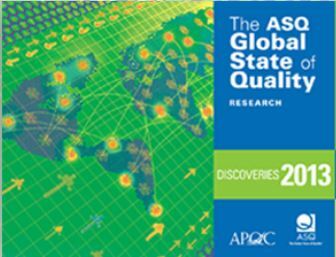 Nowhere was that theme clearer than at the unveiling of ASQ’s Global State of Quality research in the afternoon. This was a first-ever view of this groundbreaking data on quality and its impact on organizations worldwide. Data was gathered from 2,000 organizations in 22 countries. The first section of the research, Discoveries 2013, was presented as part of a moderated forum. 30 percent of participants reported that quality is governed and managed by a centralized quality group in their organization. 34 percent of participating organizations strongly agreed that there are measurable quality goals in their strategy. Interestingly, only 14 percent of organizations strongly agreed that they use quality metrics in performance-based compensation. The definition of quality may need to change and evolve with every new generation. You can download the entire Discoveries 2013 report at The Global State of Quality website. Additional findings, data, and analysis will be released later this summer and in the fall. 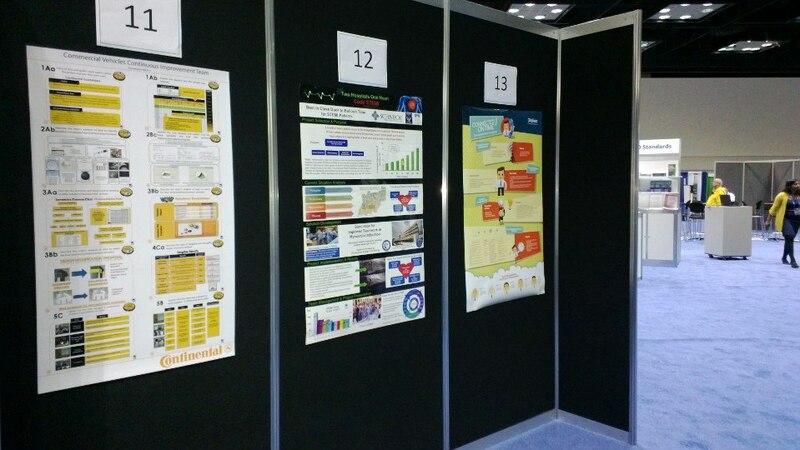 Poster presentations by International Team Excellence Award finalists in the ASQ Center. Featured presentation by author and leadership expert James Melton on communicating effectively. Key takeaway: Treat strangers with the same courtesy as you do loved ones. You will go far. More quality impact sessions/live team case studies by International Team Excellence Award finalists. The award recipients will be announced tomorrow! An afternoon extravaganza in the very busy exhibit hall. And a networking reception for all conference goers in the evening: Food, drink, merrymaking and connecting! It’s hard to believe that tomorrow, Wednesday, is the last day of the conference! Be sure to stay for the closing section. It features the International Team Excellence Award ceremony and keynote speaker Sally Hogshead. Sally takes a unique approach to personal branding—instead of analyzing how you see the world, she analyzes how other people see you. We hope to see you tomorrow! 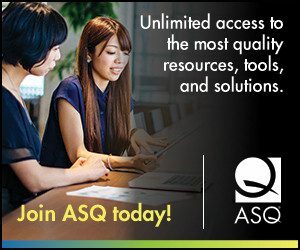 As always, you can view details on the ASQ World Conference on Quality and Improvement site. And remember, the conference Twitter hashtag is #WCQI13. See also: Day 1 ASQ World Conference recap: The science of motivation and more. Day 3 of the conference: End with energy. What is the Most Effective Performance Management Approach?